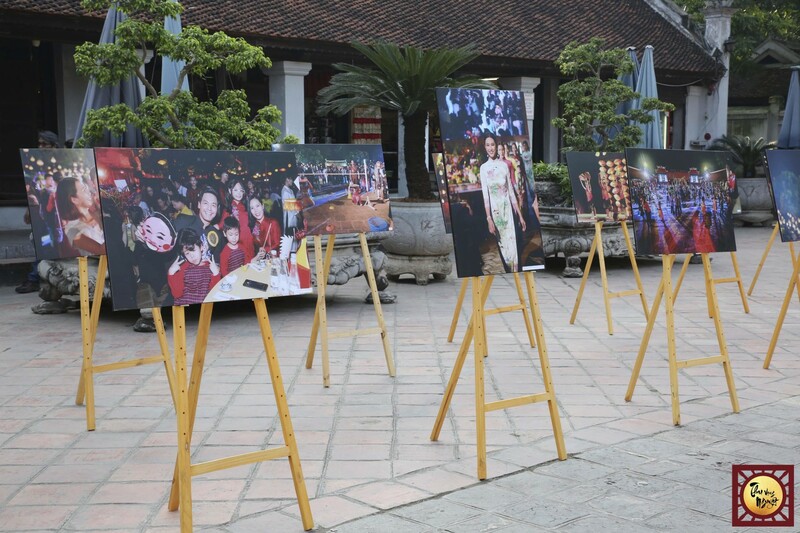 On November 3, in Thai Hoc court - Temple of Literature, Hanoi a photo exhibition "Thu Vong Nguyet" was held with more than 200 pictures of 30 professional photographers. 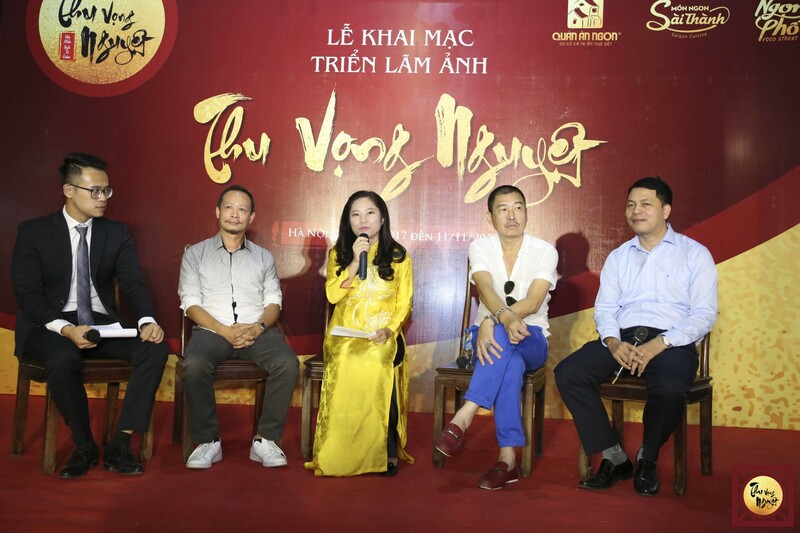 Accordingly, Temple of Literature (Van Mieu - Quoc Tu Giam) was changed its appearance, it was colorful, the participants were involved in a modern feast with whopping childhood memories, of old mid-autumn festivals with traditional cuisine and folk games. 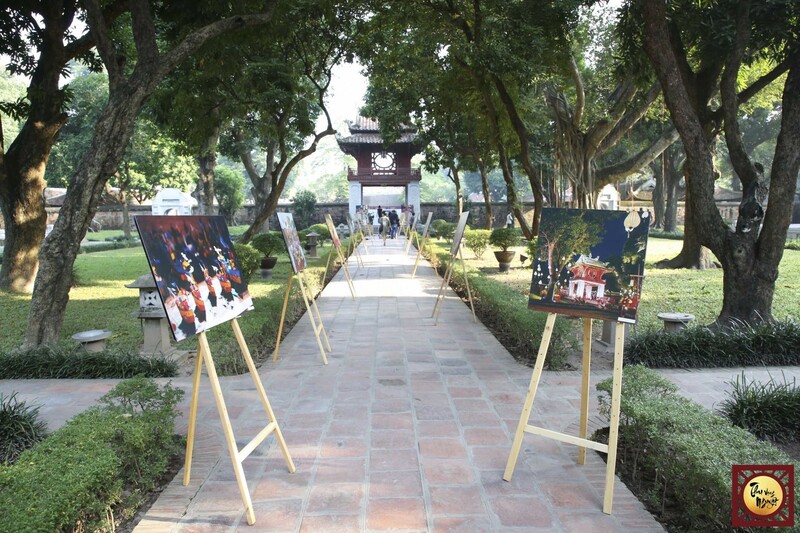 To select 200 photographs, the organizers spent nearly a month working with criteria of capturing the most expensive moments to draw up a picture of old but new Temple of Literature that is lively with the breath of the era blended with traditional and modern values. 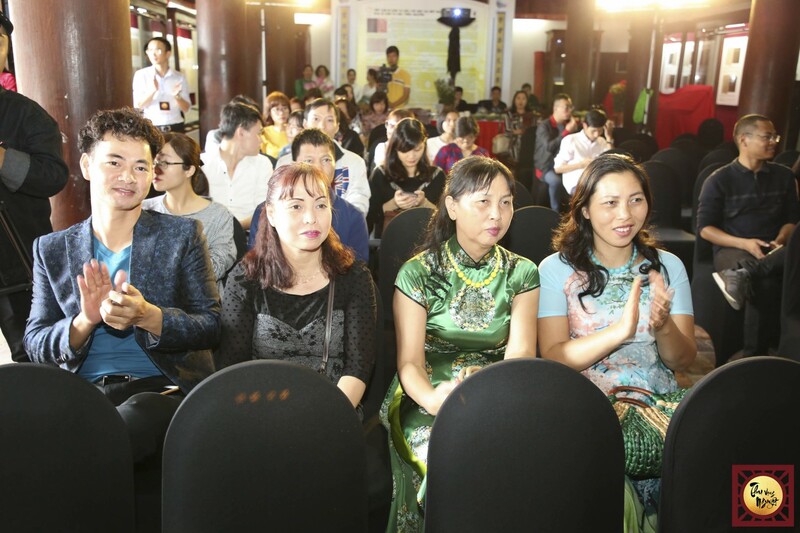 The "refreshing" and "animating" event at the monument is to attract tourists, while evoking respect and preservation of cultural heritage, the essence of ancestors; organizers entrusted by release of the photo book and postcards with the same name with the desire to spread the new image of the Temple of Literature to domestic and international vistors naturally. 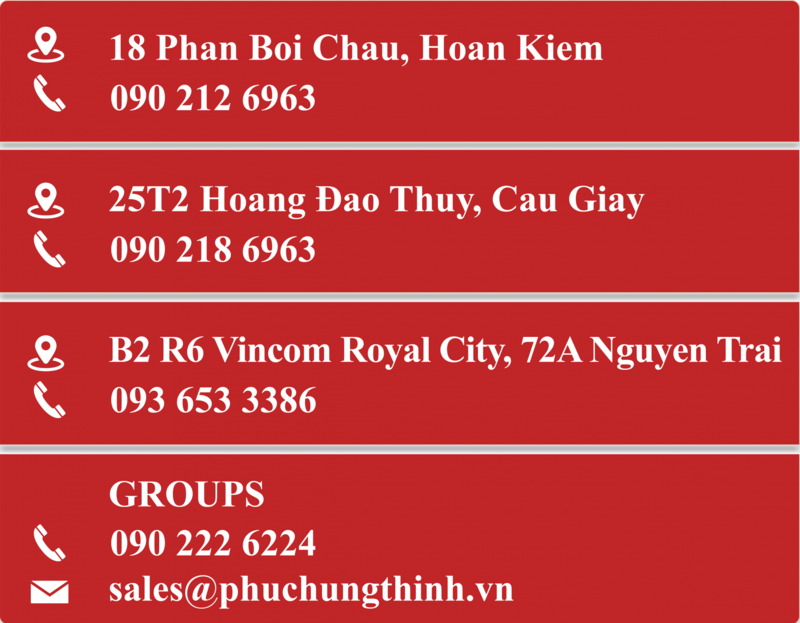 This exhibition is the next attempt of Quan An Ngon restaurant chain on the journey promoting the beauty of the country, people and culture of Vietnam through photography art, in addition to promotional activities to popularize Vietnamese food culture for the past 12 years. 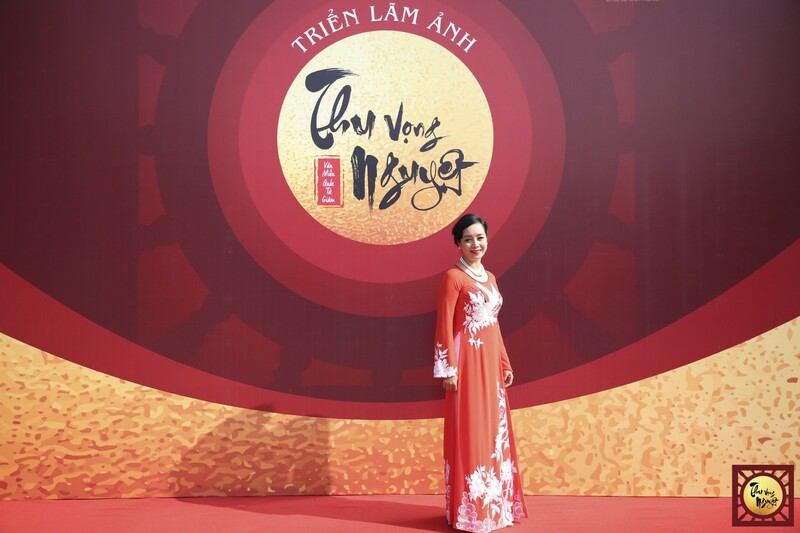 The event lasts until November 11 in Thai Hoc court - Temple of Literature.